A new Canadian company, Tallysman Wireless, Inc., has entered the GNSS antennas and RF modules marketplace. 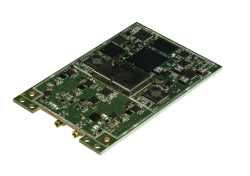 Founded in Ottawa last September by a small group of former employees and shareholders of Wi-Sys Communications, Inc., Tallysman recently launched its TW120 GPS Inline Amplifier. In December, the company received a maintenance contract from the Integrated Land Management Bureau’s Crown Registry and Geomatic Base Branch to support the Canada-wide Differential GPS System (CDGPS). An industrial-grade low-noise, low-power amplifier with 25dB gain, the TW120 is specially designed to tightly filter and boost weak GPS L1 signals, while maintaining low antenna noise figures. According to the company, the TW120 enables much longer cable runs from antenna to receiver for applications such as mast-mount, roof-top, and large vehicle installations, without any degradation of system sensitivity. The TW120 is enclosed in a cylindrical nickel-plated brass, weather-proof (IP67-compliant) housing and is available with SMA and TNC female connectors. 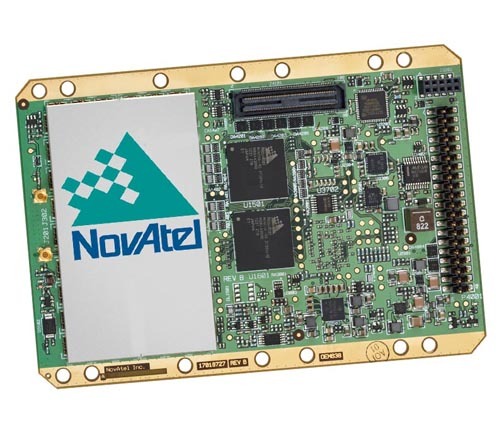 Applications include GNSS and telematics systems, wireless telecom and cellular base station timing, and commercial and industrial timing and synchronization. The CDGPS is a wide-area satellite-based service that broadcasts GPS corrections using CDGPS-enabled GPS receivers. 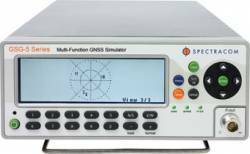 The CDGPS service provides meter-level positioning accuracy with mapping grade GPS receivers. The system uses the same satellites deployed for the MSAT mobile telephony service developed by the National Research Council of Canada (NRCAN). The CDGPS hub system takes GPS correction data, based on algorithms developed NRCAN and position data from Canadian and International GNSS Service (IGS) reference stations, and formats the correction data for broadcast over MSAT satellites. Under this contract agreement, Tallysman will provide maintenance and repair support of the CDGPS Hub hardware and software components, and ancillary equipment until March 2011. The contract also calls for Tallysman to maintain a test environment and equipment, documentation, and repair facilities to provide for repair of the CDGPS hub hardware and software components. Tallysman Wireless is developing precision/military-grade GNSS antennas, RF modules (inline amplifers, spitters, and so forth) and wireless systems infrastructure for location-based services. In January 2009, PCTEL, Inc., acquired Wi-Sys Communications and integrated the company into PCTEL’s Antenna Products Group, closing the Wi-Sys Ottawa operations in July 2009.